D&S Factors is an Idaho factoring company that has been providing trucking factoring since 2006. We help truck drivers improve cash flow, take on additional deliveries and reduce or eliminate collection costs. 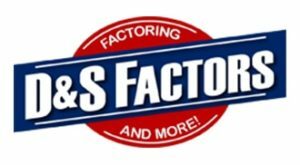 With no application or set up fees, no volume requirements, non-recourse factoring, multiple funding options, fuel advances and more, D&S Factors is a top contender in transportation factoring. Our easy to use software and mobile app, free credit checks, and full service billing make us your clear choice for factoring services. We also provide contract buy-out services and referral bonuses for our customers. No application or setup fee. You pick which loads you want to factor. D&S Factors handles all your invoicing and collections of freight bills. This gives you the time to focus on your business and do what you do best. Getting paid, back on the road, and back to business!